After recently approving fee increases for water system development charges — one-time fees charged to builders for the use of public infrastructure — the City of Wilsonville began a broader examination of how it administers the fees. And at the City Council work session Monday, March 18, City staff presented to the council a list of potential changes. "It's (the City code chapter that outlines SDC policies) all red lines because everything has changed basically," said Assistant City Attorney Amanda Guile-Hinman at the work session. Not all of the suggestions were positively received by some council members. 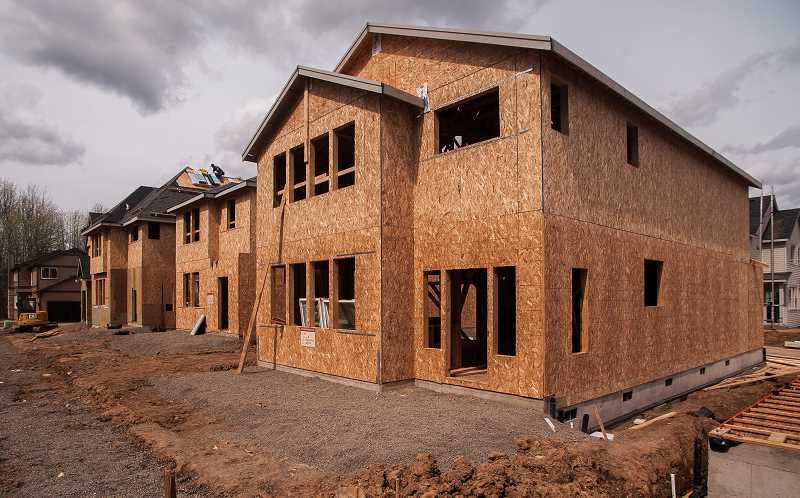 Most notably, Wilsonville Mayor Tim Knapp and Councilor Ben West were concerned about a potential policy change that would prevent developers from paying the fees in installments. Knapp said when he was first developing his commercial property in Old Town, he received an $80,000 SDC bill from the City and could not have afforded to pay the bill up front. He surmised that many small-scale developers would be in the same boat. "When you're looking at a multimillion-dollar corporation — OK. But if you want to prohibit development in Wilsonville by anybody but multimillion-dollar corporations, this will effectively do it," Knapp said. "I think it's problematic. I think small businesses, small development in the community is an asset." "I just want to make sure that we are being accessible to the average Joe out there or the church," West said. Guile-Hinman said some cities allow installment plans while others do not. "One of the issues we've seen is larger businesses coming in and essentially using the city as a bank. So Subaru (which sued the City for allegedly overcharging for SDCs), we deferred a million dollars of SDCs for them and it's not turned out great," said Guile-Hinman. "No good deed goes unpunished." "The problem with deferring all those payments is then you don't have the money for the project up front," City Manager Bryan Cosgrove said. "That's the main policy concern I have." Instead, Knapp asked staff to study the possibility of providing exceptions that would allow installments in certain cases and Cosgrove agreed to that idea. "It likely is possible to find some set of conditions or qualifiers in which you would evaluate objectively whether a certain situation merited allowing payment over time for SDCs," Knapp said. credit value in the case of a transfer. Guile-Hinman said Tualatin, West Linn, Sherwood and Oregon City don't allow credit transfers while cities like Portland and Tigard do. "I would say 25 percent is much more desirable than (many) surrounding cities because they don't allow any," Guile-Hinman said. The City will discuss the issue again at a later date.